Never underestimate the power of marshmallows. Especially when it comes to igniting a passionate office romance with an older man! Ojisan to Marshmallow follows the efforts of office lady Iori Wakabayashi and her consistent efforts to lure her much older colleague Habahiro Hige into a romantic relationship. 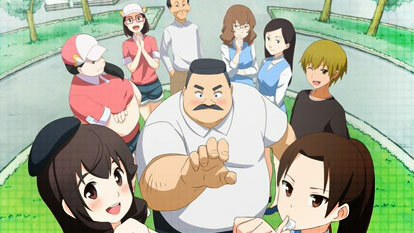 At 24, Wakabayashi is young and beautiful... and attracted to an old, overweight man? Her friends don't understand her preferences. Hige's strong addiction to marshmallows is well known, and Wakabayashi does not hesitate to use them to her advantage, getting her and Hige into many compromising positions and situations. Unfortunately for Wakabayashi, Hige never seems to notice her many attempts at seduction. When will Hige finally notice her strong desire for romance?